We invite you to visit us at the booth #G31 of the IX International forum «Atomex 2017», which will take place in Gostinyi dvor, Moscow, 14-16 November 2017. There we’re going to present our new Technology for safe resource-saving operation of power units by means of the system for real-time condition monitoring systems COMPACS®. As the part of the Forum, will take place the international conference and exhibition of producers of goods and services for nuclear industry. The exhibitions at the forum will be presented by nuclear industry vendors, as well as the State Atomic Energy Corporation "Rosatom", fuel company TVEL, Rosenergoatom, ASE Company Group, Rosatom’s Machine-building Division, Atomenergomash holding, and others. Come to see our booth # G31! We are looking forward to welcoming you to the Process Control and Safety Symposium and Exhibition, taking place in Houston, TX, Houston Marriott Westchase, in November 6-9, 2017. We are going to present the newest technology for safe resource-saving operation of refinery and petrochemical machinery based on the COMPACS® system for real-time condition monitoring and diagnostics of machines. The 2017 Process Control & Safety Symposium and Exhibition (PCS) returns to Houston, TX. 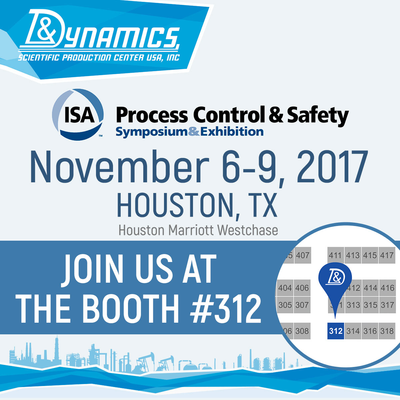 Sponsored by the Process Measurement and Control, Safety and Security, Chemical and Petroleum, Communications, Education, Pulp and Paper, and Management Divisions of ISA and the ISA Houston Section who are teaming up to bring another world-class program, exhibit, and networking event this November. Join us at the booth #312! 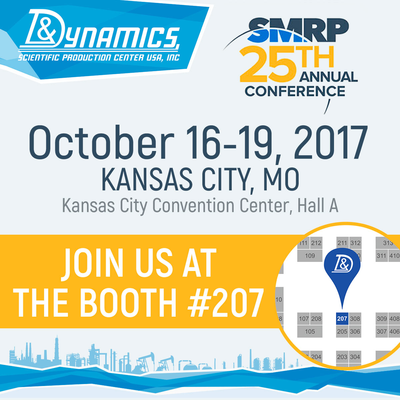 We are looking forward to welcoming you to the 25th Annual Conference of Society for Maintenance & Reliability Professionals (SMRP), taking place in Kansas City, Missouri, Kansas City Convention Center, Hall A, in October 16-19, 2017. 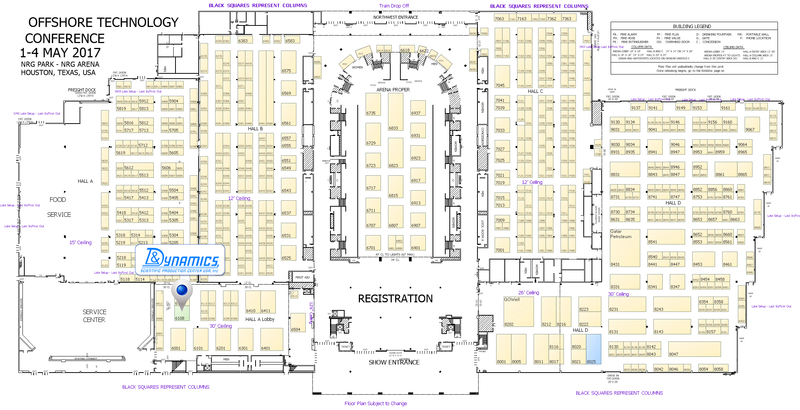 The SMRP's Annual Conference is the premier maintenance and reliability event. Brining together more than 1,000 attendees from all over the world, the conference provides professional development and networking opportunities. Join us at the booth #207! 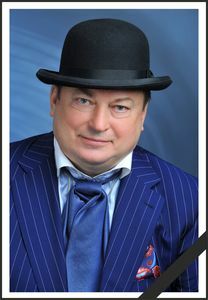 It is with great sorrow that we announce that the Chairman of the Board of directors of DYNAMICS SPC, Scientific Adviser - Chief Designer, Russian Federation Government Award-winner, full member of the Russian Engineering Academy, member of the International Academy of Social Sciences, Doctor of Technical Science, Professor, Hero of Labour, Vladimir Nikolayenich Kostyukov has passed away in the age of 67. 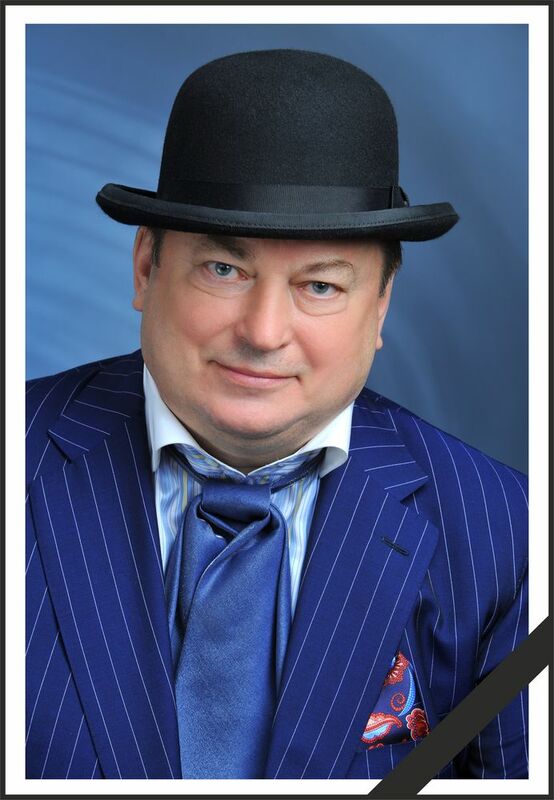 Last respects for Vladimir KOSTYUKOV are to be paid on Friday 21 of July, 2017, 10 am to 12 am in the DYNAMICS SPC building on 108 Rabinovicha st., Omsk, Russia. We express our deep condolences to relatives and friends, colleagues and students, to all who had known him well or have had the opportunity to work with him. 48th International Conference and Exhibition of offshore technology OTC 2017 took place in NRG Park - NRG Arena in Houston, TX, 1-4 May 2017. The exhibition is one of the largest event in oil&gas industry. In 2017 NRG Park gathered together more than 2400 exhibitors from 43 world countries. Experts in offshore technologies met in order to discuss and make important decisions, and exchange their experience and ideas in business partnership development. A working model of the COMPACS® stationary system for automatic real-time vibration analysis and condition monitoring operating on the latest version of COMPACS®-7 software was presented at the booth. Company’s production arouse a great interest among the guests of the exhibition. We are looking forward to welcoming you at our booth № 6108 at the Offshore Technology Conference (OTC 2017), which will be held in NRG Arena in Houston, TX, USA, 1-4 May, 2017. OTC is the biggest event in oil and gas industry. OTC 2017 – is a professional international forum for suppliers and consumers of goods, intended to be the display for high-tech solutions and equipment brought to you by the world leading companies. We’ll be happy to see you at our booth! 28 February – 3rd March, 2017 in Moscow, under the auspices of The Russian Society For Non-Destructive Testing And Technical Diagnostics (RSNTTD), the XXI Russian Scientific Conference on Non-destructive testing and Technical diagnostics was held. Eight sections included a hundred of scientific reports made by lead scientists and experts in NDT and TD from Russia and abroad. DYNAMICS SPC presented their reports at the "Vibration analysis" section (No.3), guided by Zusman G.V. and Kostyukov V.N., and "Acoustic Emission" section (No.1), guided by Muravev V.V., Elizarov S.V., Ivanov V.I. Deputy Director General on Science Issues of DYNAMICS SPC, Candidate of Technical Science, Sergey Boychenko: “Practice of applying characteristic function parameters for diagnostics and monitoring of rolling bearings condition”. Deputy Head of independent personnel certification body, Doctor of Technical Sciences, Alexander Naumenko: “General model of structure and formation mechanism for vibration acoustic signal of a piston machine”. Head of monitoring and diagnostic center in power industry, Doctor of Technical Sciences, Alexander Kumenko: “Additional requirements towards condition monitoring and vibration control systems for turbine units of CHP and NPP”, “Reliability criteria and condition monitoring of turbine power units using static and dynamic forces in shafting supports”, “Monitoring of distributed unevenness of an experimental rotor using shaft sensors”. Cand.Tech.Sci., the deputy head of the department of systems support and promotion Denis Kazarin: “Automatic “health” monitoring systems for production-and-transport industry providing high safety and efficiency rates”. Research associate, Andrey Zaytsev: “Perfection of methods and means of vibration analysis of wheel-motor units of rolling stock”. Junior Research Associate, Vasily Basakin: “New diagnostic method for bearing units of rail rolling stock during operation”. Category 3 engineer, Denis Bogomolov: “Detection of hazardous developing defects and their prognosis during continuous AE-based monitoring”. All reports aroused great interest among the audience. As a conclusion for DYNAMICS SPC’s Anniversary Year, by the Council of Chief Designers of RAE an honorary title “Russia’s Honoured Engineer” with handing over an award pin was presented to Chairman of the Board of Directors of DYNAMICS SPC - Vladimir Kostyukov for his high professional level in the field of creating intellectual monitoring and diagnostic systems COMPACS® and great contribution to reduction of operational risks of complex production facilities in power and transport industry, as well as success in commercialization of the brand-new scientific methods and pioneer technological solutions, along with successful production and educational activities. The Council of RAE made a pointed reference to the unique Russian phenomenon – dynastic nature of the family engineering business comprising three generations of engineers in the Kostyukovs family. 2016 Scientific conference and VI workshop "Risk evaluation and management in industrial safety” and an act of publishing an anniversary digest of SIU RISKOM devoted to 25th Anniversary of DYNAMICS SPC were given a high appreciation. A decision of The Council of RAE is considered to be an act of public recognition of services and success in patriotic engineering and education activities of RAE member, doctor of technical sciences, professor, Russian Federation Government Award-winner, Scientific Adviser and Chief Designer of Siberian Scientific Monitoring Centre - Vladimir Kostyukov. The meeting of Chief Mechanics of refinery and petrochemical companies of Russia and CIS, featuring Association of oil-refiners and petrochemists was devoted to "Increasing reliability and operational safety of refinery facilities and their run-to-failure. Application of new methods of machinery condition control" and took place on 5-9 December, 2016 in Klyazma Resorts, Moscow Oblast. More than 90 papers and reports by Russian and foreign companies were presented. The DYNAMICS SPC’ report followed the Chief mechanics’ reports. The chief mechanics gave positive feedback on DYNAMICS SPC in their reports. Marketing specialist Darya Zarubina attended the seminar on behalf of DYNAMICS SPC and delivered the report entitled "Providing safe resource-saving operation of machinery". The report aroused a great interest both among the representatives of enterprises, using the system for automatic diagnostics and vibration analysis, and comprehensive condition monitoring of machinery COMPACS®, and among the representatives of other plants and commercial companies.